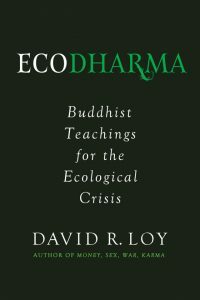 David Loy: Ecodharma, A New Buddhism? David will be speaking about Ecodharma and sharing his new book, Ecodharma: Buddist Teachings for the Ecological Crisis. David is a thoughtful and inspiring speaker who offers compassionate wisdom and insight into our greatest ecological crisis yet. “This landmark work is simultaneously a manifesto, a blueprint, a call to action, and a deep comfort for troubling times. 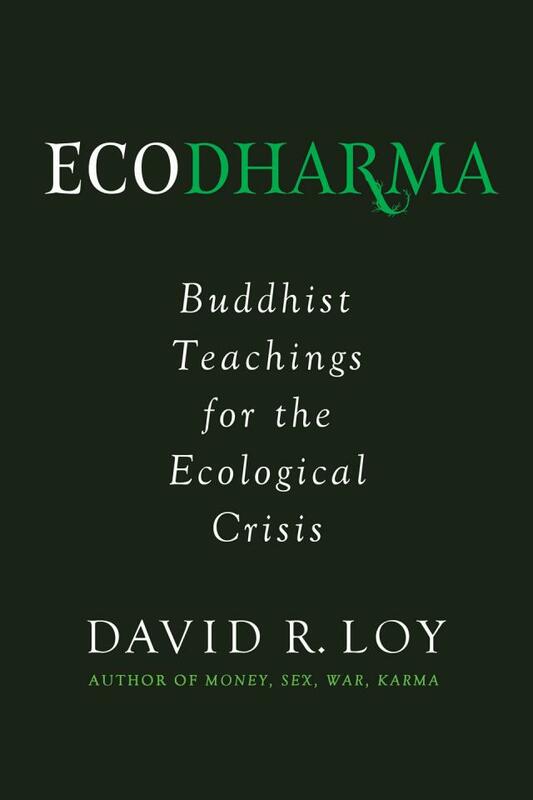 David R. Loy masterfully lays out the principles and perspectives of Ecodharma—a Buddhist response to our ecological predicament, introducing a new term for a new development of the Buddhist tradition. embodying that understanding in the eco-activism that is needed today. Click here to read a short excerpt from Ecodharma: Buddist Teachings for the Ecological Crisis. David Loy is a professor, writer, and Zen teacher in the Sanbo Zen tradition. His many essays and books have been translated into numerous languages. His articles appear regularly in the pages of major journals such as Tikkun and Buddhist magazines including Tricycle, Turning Wheel, Shambhala Sun and Buddhadharma, as well as in a variety of scholarly journals. Many of his writings, as well as audio and video talks and interviews, are available on the web. David is especially concerned about social and ecological issues and believes that there is an important parallel between what Buddhism says about our personal predicament and our collective predicament today in relation to the rest of the biosphere. David Loy is one of the founding members of the new Rocky Mountain Ecodharma Retreat Center, near Boulder, Colorado. Please visit the website at rockymountainecodharmaretreat.org for more information.